Salvation And Survival: Is Technology Threatening Our Spirit? Is Technology Threatening Our Spirit? This post explores the boundaries between our hearts, minds, and Spirit; and whether we are in danger of exceeding those boundaries as set forth by our Creator. I recently read a very disturbing article in The Sun, stating that FACEBOOK founder Mark Zuckerberg is funding the development of technology with the potential to read humans’ minds. Of course, the Billionaire and his wife, Priscilla Chan, are doing it for the "good of mankind", and they hope to cure, prevent, or manage all diseases in the span of a couple of generations. According to The Sun, one of the researchers who will receive funding is Dr. Rikky Muller, CEO and founder of a firm called Cortera. She is purportedly working to develop brain implants that will have the potential to change people’s behavior by altering their “physiological responses” – the term for reactions which take place in response to external stimuli; like allowing paralyzed people to control prosthetic limbs, for instance. 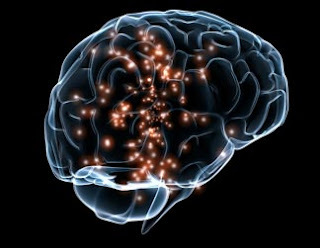 These implants would work by monitoring the electrical signals sent within the brain. I want to begin by pointing out that this technological research is multi-faceted. Among the goals stated by these scientists are the ability to interface with the brain for long-term, minimally-invasive neurological recording; monitoring and manipulation of neural circuits; and to develop 3D imaging technology which can probe the “deep structures of the brain” and is “essential for unravelling neural activity”. Now let's examine how God made our unique souls and spirits to "interface" with Him (if you will allow me to use that technological term). In a fascinating article by Andrew Freed, entitled Understanding the Heart and Spirit Realm Connection, Mr. Freed starts off with a bang: "The heart is the doorway to the supernatural. Through our heart we have access to the spirit realm, and through the heart the spirit realm has access to us". This is borne out by the many references to "the heart" we find in the Bible. And the excellent website, Bible Study Tools, offers an extensive discussion of the heart, in which they identify Scripture that supports Mr. Freed's premise. Jesus says that the heart's secrets are betrayed by the mouth, even as a tree's fruit discloses its nature ( Matt 12:33-34 ). "A wise man's heart guides his mouth, " says Solomon ( Prov 16:23 ). Most importantly, the mouth confesses what the heart trusts ( Rom 10:9 ; Deut 30:14 ). Furthermore, the heart's reasoning, as well as its feeling, depends on its moral condition. Jesus said that "from within, out of men's hearts, come evil thoughts" ( Mark 7:21 ). Because the human heart is deceitful above all things ( Jer 17:9 ) and folly is found up in the heart of a child ( Prov 22:15 ), the Spirit of God must give humans a new heart ( Jer 31:33 ; Ezek 36:26 ) through faith that purifies it (Eph 3:17). If you take the time to look up all those Scriptures, you will get the idea ... the heart is essential to our relationship with God, and there is a definite relationship between our heart and mind. But how does technology link to possible threats to those relationships? That's where Mr. Freed's article takes an interesting turn. He writes that decades ago the medical community thought the only communication between the heart and the brain was through nerve endings. (This is how the brain regulates heart rate). 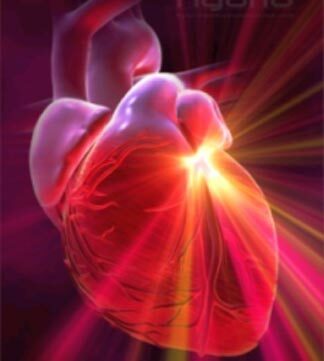 He says that today we know the heart sends signals to the brain through the unseen realm in the form of electromagnetic waves ... your heart communicates like a transceiver and the mind speaks to the heart through nerve endings, while the heart speaks to the mind through wave endings. Are you starting to get the picture? 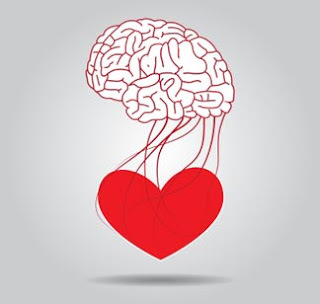 You see, the word "Heart" (Lebab/Leb in Hebrew) occurs over one thousand times in the Bible, and the ancient Israelites understood that there was a connection between our heart and our minds (or brain), and more often than not, there was a battle between the two. There are so many verses that point to this Truth: I, the Lord, search the heart and test the mind, to give every man according to his ways, according to the fruit of his deeds (Jeremiah 17:10; Trust in the Lord with all your heart, and do not lean on your own understanding [or thoughts from your mind] (Proverbs 3:5); The aim of our charge is love that issues from a pure heart and a good conscience [which comes from the mind] and a sincere faith (1 Timothy 1:5). So can you discern the danger involved with brain/computer interfaces? If these technology scientists are interested in interacting with nerve endings to stimulate the brain -- and nerve endings are how the mind speaks to the heart (see above in bold) -- and if the heart is our connection point to the supernatural, and by inference, to God and the Holy Spirit -- then it seems logical to me that technology could interrupt or corrupt our communication with our Creator. Technology and their scientists will tell us that they want to change people’s behavior by altering their “physiological responses” to external stimuli and help paralyzed people control prosthetic limbs and walk again, but I honestly fear that Satan could use this research to alter our reactions to the external stimuli of God and the Holy Spirit. When you think about it, it is quite cunning of Satan to influence technology in this manner. While I do not believe that Satan can read our minds, he can influence our thoughts through our hearts. He certainly did that in Acts, Chapter 5, when his influence on the hearts of Ananias and his wife, Sapphira, resulted in their thoughts to deceive the early Church. That is why part of our spiritual armor from God is a helmet of salvation. I believe part of that helmet's job is to protect our minds from the attempts of the Enemy to corrupt our hearts through our thoughts. This idea is further expounded upon by the Word: We destroy arguments and every lofty opinion raised against the knowledge of God, and take every thought captive to obey Christ (2 Corinthians 10:5). Arguments and opinions come from our mind/brain, while obedience to Christ originates in our hearts. So, when the article in The Sun states that Mark Zuckerberg is funding "technology [that] could one day be used to directly record human thoughts and allow artificial intelligence to read our minds", then the Holy Spirit tells me we are on fragile ground. Scripture tells us that we are to guard our heart, for from it flows the springs of life. That tells me that my eternal life depends on the state of my heart. And I am well aware how my thoughts can derail my relationship with Jesus. Do I really want technology to advance to the point that they can manipulate my brain and try to corrupt [or possibly eliminate] my spiritual connection to my Lord? It's something to think about. Psalm 26:2 "Prove me, O Lord, and try me; test my heart and my mind".